In the past six months, Lawson and Nathan have embarked on multiple mission trips. 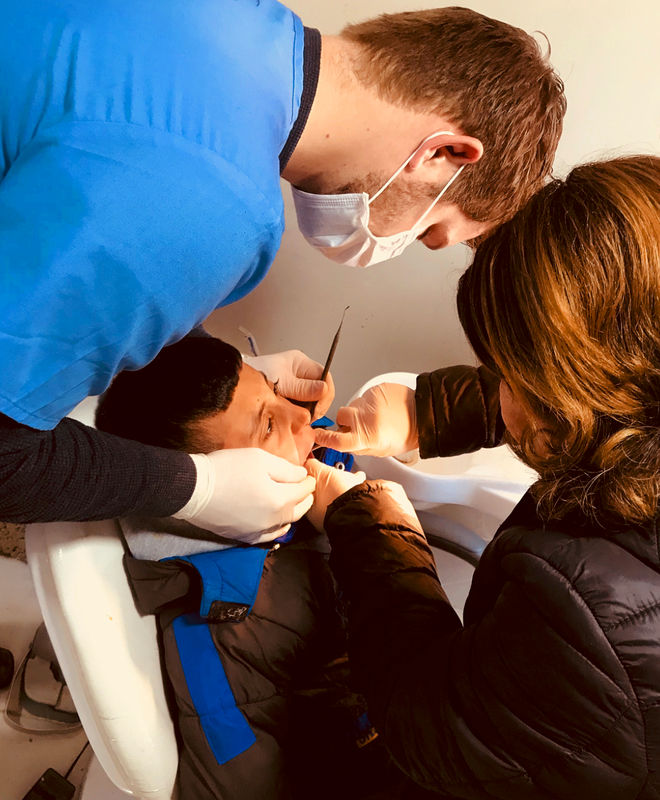 They went on a medical mission trip to the Philippines with Trace and Carlin in August. Just a few weeks later, they were in Texas helping to rescue Hurricane Harvey victims, and a few weeks after that, they flew down to Puerto Rico to help with recovery following Hurricane Maria. For the past few weeks, "Law" and "Kenny" (as their family calls them) have been over in the Middle East, bringing medical and emergency care to refugees and IDPs (Internally Displaced Persons). 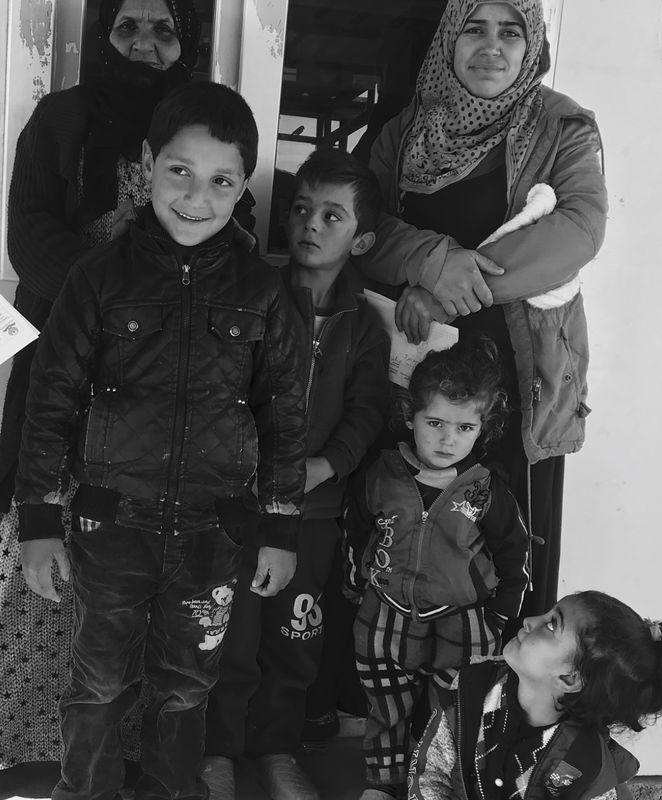 We ask you to pray for the effectiveness of their work, as well as for healing and peace in the Middle East. 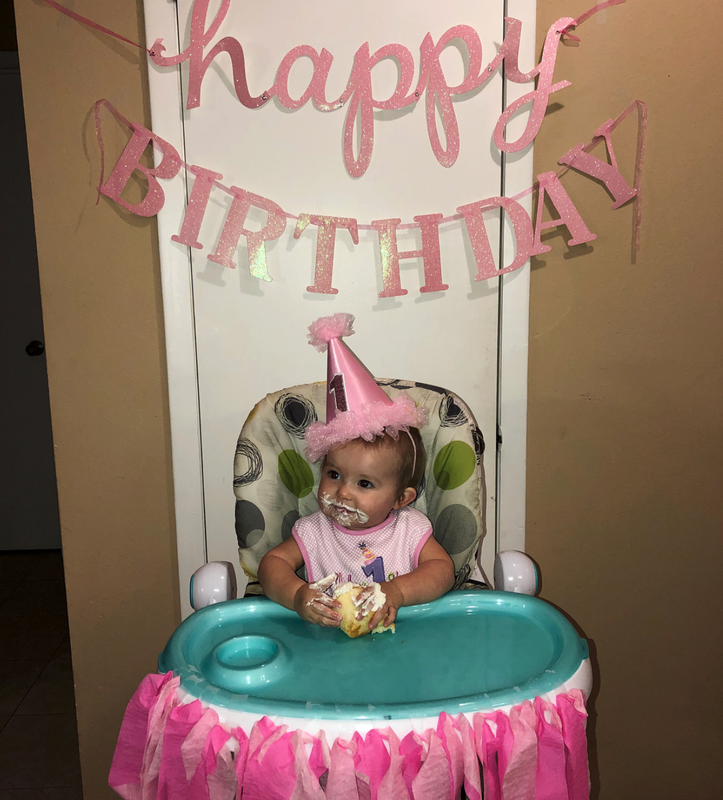 A few days ago, we posted photos from Lexi's first birthday celebration. 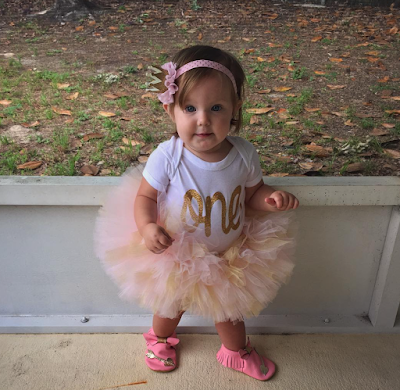 For comparison, we thought we would throw it back to April 2016 and share a snapshot of Allie on her first birthday. Do you think the sisters look similar? 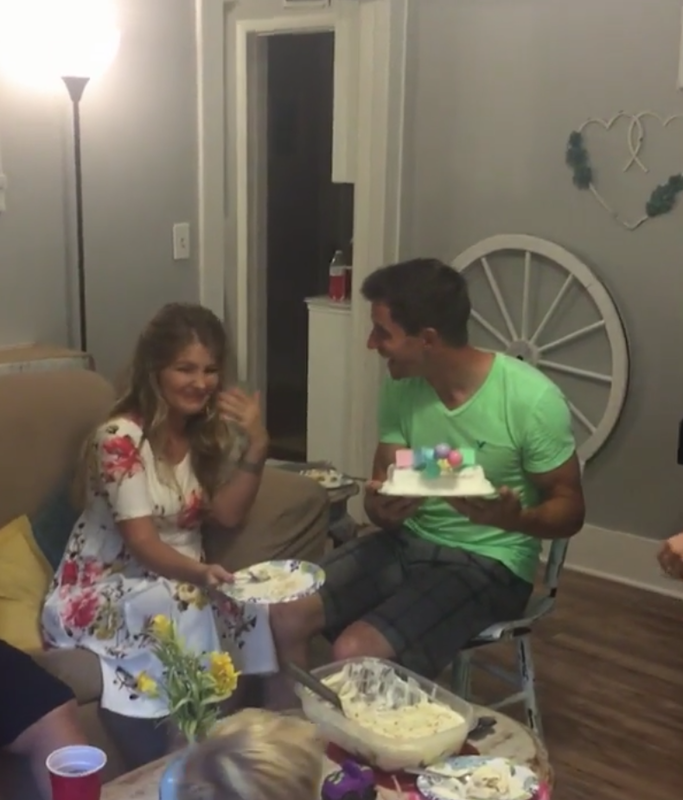 When Erin Paine found out that she was pregnant with her third child, soon after Carson Paine's second birthday and Brooklyn Paine's first birthday, she had to find a fun way to tell Chad. Watch the surprise unfold in the video clip below and on Thursday's episode. Chad's reaction is priceless (as is Carson's!). Oh baby! Lexi Mae turned one year old yesterday, and per Bates family tradition, the Websters celebrated with a cake smash (well, a cupcake smash). 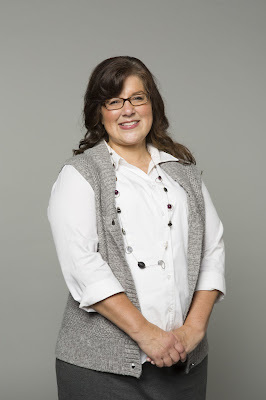 According to Alyssa, Lexi, whose nickname is "Mae Mae," is a laid back child who loves to cuddle. Great photos, Websters! Just wanted to share a quick update on Kelly Bates, who had eye surgery to correct her vision. The surgery was more involved than expected, but the Bates say they had a skilled doctor and that Kelly is recovering well. Michael Keilen came down from Chicago to help cook and watch the kids. 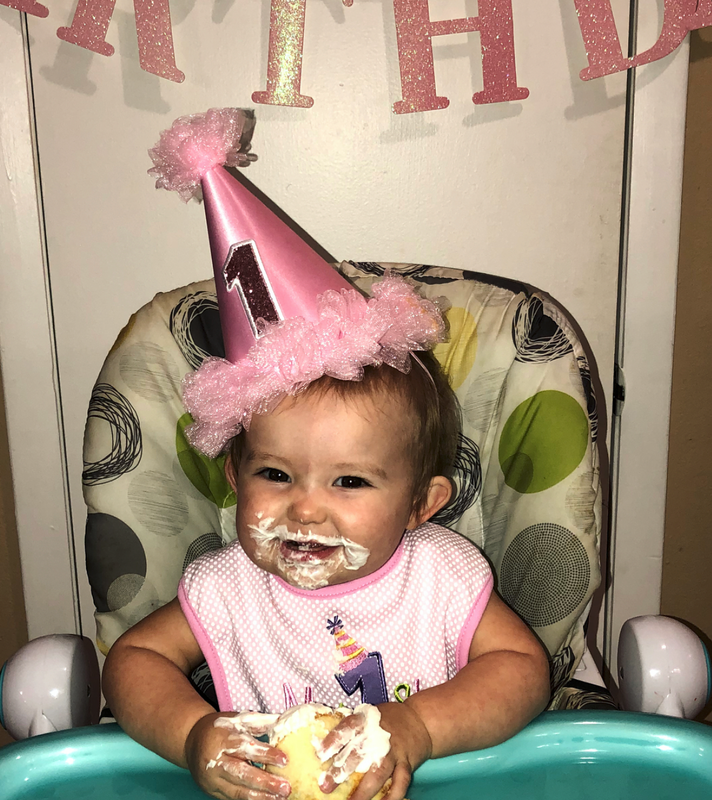 Happy 1st birthday, Lexi Mae! In just a couple months, this little cutie will be a big sister to Zoey Joy Webster, due April 2nd. 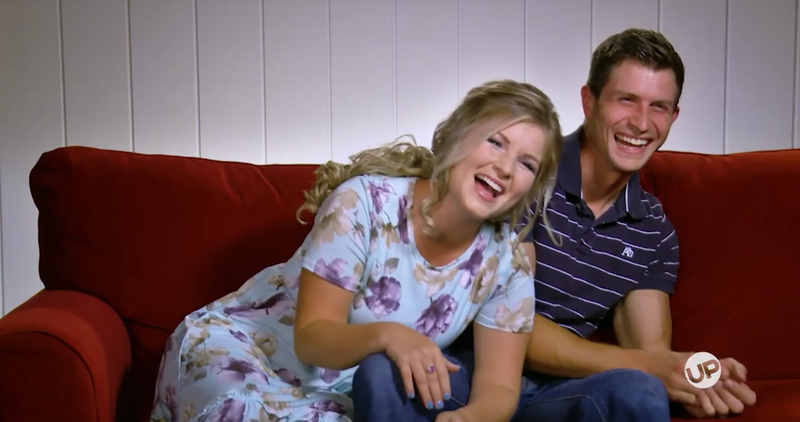 Bringing Up Bates "SUN Day, Fun Day"
It's August 21st, and the Bates are gearing up for the solar eclipse. Knoxville is set to experience near-totality. In preparation for their solar eclipse party, Kelly makes sure to inform the kids how dangerous it is to look at the eclipsed sun without eclipse glasses. 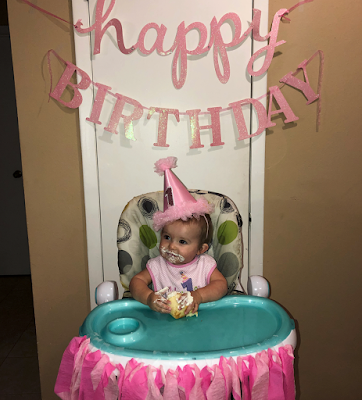 “There’s just no way you can have a party without Mom giving a lesson on what you should not do,” says Addallee. Then, Brandon gives a quick science lesson so the kids understand what they will be seeing. Everyone piles in the car to drive over to the home of one of Erin’s friends, who has a pool. She and her husband also have a snow cone machine and a cotton candy machine. “That was like the perfect recipe for party and mess,” says Kelly. The couple also has a giant inflatable slide, which even enjoys, even Gil and Kelly Jo. Zach has to work, but Whitney brings Bradley and Kaci Lynn over to take part in the fun. As the sun disappears, the temperature drops, and the wind dies down. “When all those crickets and frogs started going off, I said, ‘This is a little creepy right here,’” says Lawson. “It’s 2:30 in the afternoon, and we saw a couple stars in the sky,” says Katie. Everyone agrees that the eclipse was an unforgettable event. Now that it is done and over with, Michael and Brandon turn their attention to their appointment with Dr. Vick, the Bates’ OB/GYN. “This is the last thing we’re going to do, and then take a break,” Michael tells Erin. “I think there’s a little bit of hope but also a lot of nervousness, too,” says Kelly. At the appointment, Dr. Vick performs a hysterosalpingogram, a diagnostic procedure to determine if there is a tubal blockage that could be hindering pregnancy. 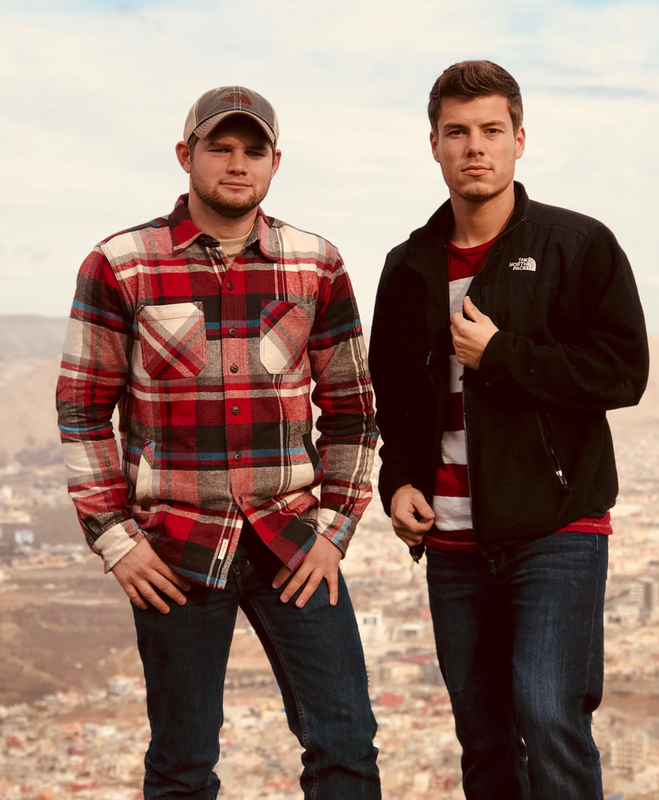 So far, Michael and Brandon have both had exams, but doctors have not found any reason why a pregnancy would not work. It has been determined that Michael has been hyper-ovulating. Through the procedure, a bit of a blockage is able to be cleared, and Dr. Vick concludes that at least one of Michael’s tubes is now open. He instructs her to wait three cycles before discussing potential surgery. “It’s been quite a journey, but I’m so proud of Michael,” says Brandon. “She’s been a trooper through it all. 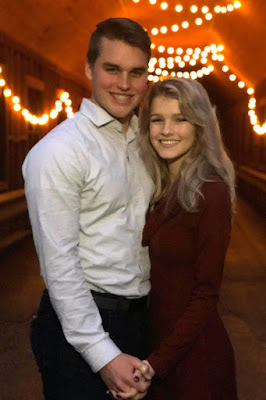 Josie Bates is in an official courtship with Kelton Balka! 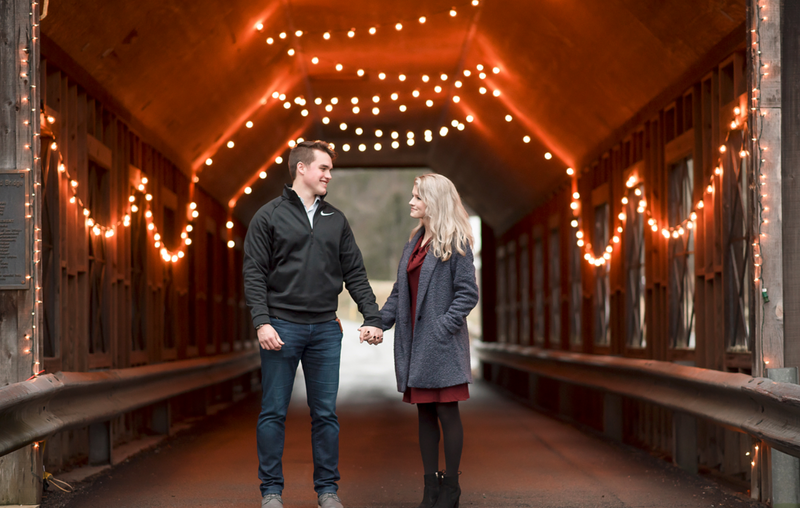 Kelton popped the big question at Emerts Cove Covered Bridge in Sevierville, Tennessee, a town near Gatlinburg. The UP crew was present, as was photographer Taryn Yager. Two Bates daughters are now one step away from planning their weddings. (Better grab the tissues, Gil!) 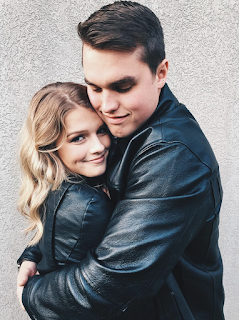 Carlin Bates and Evan Stewart announced their courtship earlier this month, and now Josie Bates and Kelton Balka have their own exciting news to share...They're courting, too! Hear from the happy couple in the video below. Josie turned 18 in August, which makes her the youngest Bates daughter to start an official relationship. "Every test does bring a level of excitement and hope that this might be the answer." 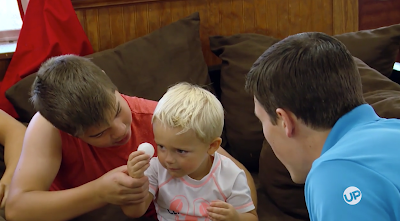 This Thursday on an all new episode of Bringing Up Bates, join Michael and Brandon as they visit Dr. Vick, the Bates' OB/GYN. He reviews all the tests the Keilens have gone through in Chicago and performs one final diagnostic procedure. Michael has said recently that if the results are not what she and Brandon are hoping for, they plan to "take a break and enjoy each other and maybe start this journey again later..."
If you are unable to tune in, we will give the details in our recap on Thursday evening. Wishing Micheal (Bates) Keilen a very happy 28th birthday! For those who haven't heard the story behind her name, click here to read our post from June 2015. "Brandon is really good at turning something that can be complex for kids and getting it to where kids can understand it." It's August 21st, 2017, which means that the long-awaited Solar Eclipse Day has arrived. The Keilens are in town to watch the action with the family, but first, Brandon sits down with the children to explain what they will see. Zach and Whitney Bates are still working on their fixer upper house. 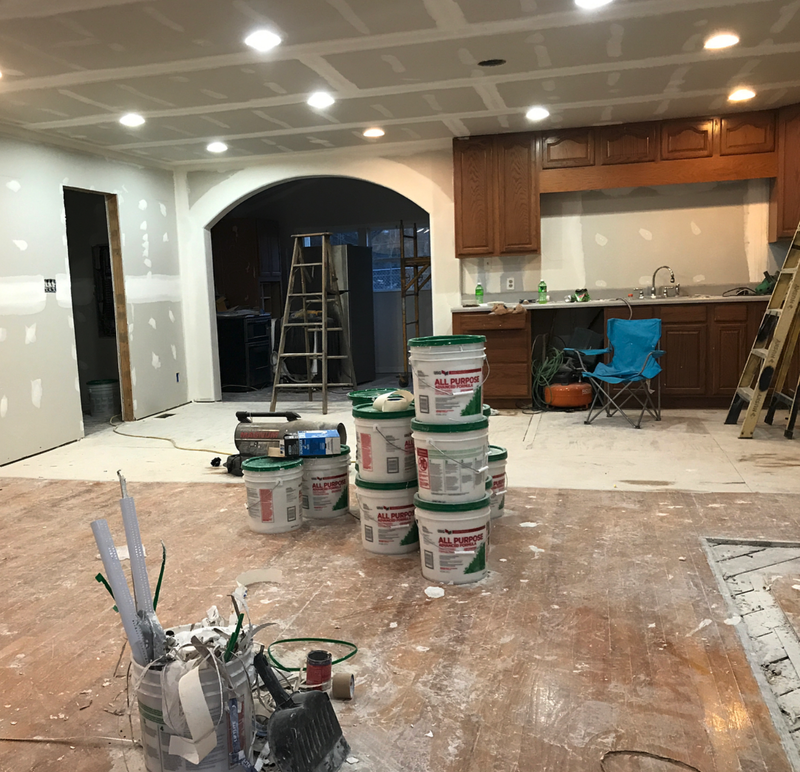 They just chose cabinets and countertops, so they're making progress. As most of you know, Erin Bates Paine and Alyssa Bates Webster are both expecting their third babies in April. Trace Bates started his new semester at Crown College yesterday. Katie Bates is in her last semester of high school and started dual enrollment classes at Crown. Josie Bates graduated cosmetology school last semester and passed the licensing exam. She recently had a job interview. Tori and Bobby Smith are living in an apartment near the family. Tori graduates in May, and we can finally reveal their plans: They will be moving to the Nashville area. 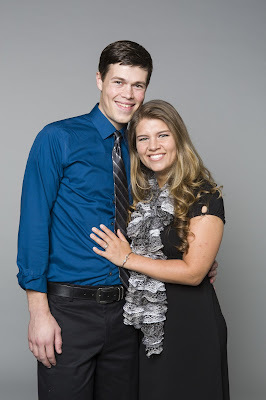 Bobby has accepted a job at a church called Bible Baptist (same name as Gil's church but no affiliation), and Tori hopes to use her teaching degree to be involved at a nearby Christian school. Tori starts student teaching on Monday. She has been placed in a first grade classroom. Lawson Bates has been in Nashville 4-5 days per week working on music. Nathan Bates spends his time doing tree work, teaching flying lessons, and doing mission work. He and Lawson are currently on a mission trip. "When Gil says to somebody, 'Let me give you a tour of the house,' the first thing that goes through my mind is...there's probably a mess." When Bobby's parents drive him up to Rocky Top, Gil and Kelly Bates realize that it's their first visit to the house and insist on giving them a tour. 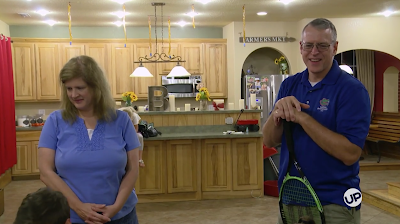 If you've been a long-time viewer of the show, you've seen the family's bedrooms, but you probably haven't seen the guest quarters (video below). 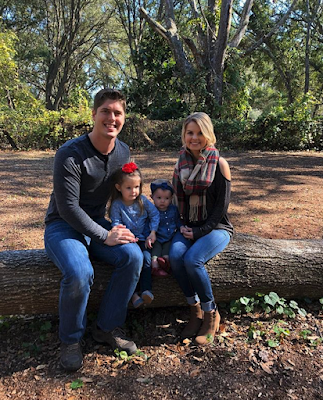 Bringing Up Bates "Bobby's Happy Camper"
Zach and Whitney meet Tori at the camper, owned by a friend, that Bobby will be staying in before the wedding. Later, Erin and Chad stop by to help Tori make welcome signs. One says, “Welcome to Tennessee, God’s Country,” and the other says, “Bobby, this is my commitment to you: I will pamper you in your camper.” Both have colorful doodles on them. Josie and Jackson bring Kelton over so he can take a look at the leak under the kitchen sink. Kelton ends up having to fully replace the faucet. “Raising girls is a bad deal,” says Gil, who likely has three weddings (Tori, Carlin, and Josie) coming up in the near future. 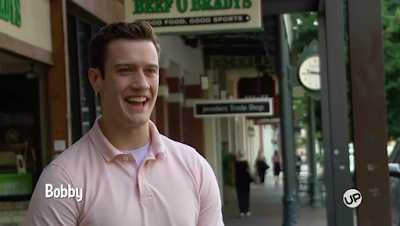 Down in Pensacola, Bobby picks up the custom ring from Jewelers Trade Shop, the store where his dad purchased his mom’s engagement ring. Bobby is blown away when he sees the finished product. When Bobby and his parents, Robert and Sheri Smith, finally arrive in Tennessee, Tori is on cloud nine. “They’ve had to be apart for so long,” says Sheri. “So for him to be able to get up here and get to know the family better…it’s the best thing right now. “Whenever company is coming to the house, it’s a super big deal to my mom that the house is clean and…perfect,” says Tori. The Bates are thrilled that Bobby has decided to move to Tennessee ahead of the engagement and wedding. Tori and Bobby are starting to make plans for the future, and there's always a chance that their ministry will lead them out of Knoxville after Tori graduates in May 2018. 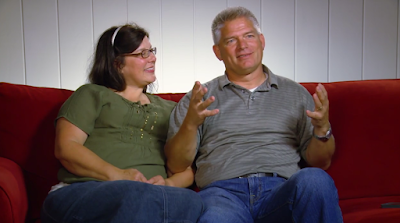 A brand new episode of Bringing Up Bates airs tonight at 9ET/8CT on UP. Will you be watching? Check out the promo video below. "It's great to have a boyfriend that is good at everything, like Kelton is, because he's like another Chad." Between Tori Bates' wedding and Carlin Bates' courtship, we haven't heard much from Josie Bates and her boyfriend, Kelton Balka. 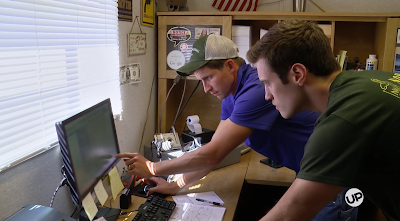 In the video below, Kelton, a certified plumber, puts his skills to the test by attempting to fix the kitchen sink in Bobby's RV. Will Kelton be the new Chad Paine? Which member of the Bates family is the most generous? The more accurate question is, are there any Bates who aren't generous? Everyone polled in the video below has a different answer, and they are all eager to shower praise along with their responses. Before leaving Pensacola to move up to Tennessee, Bobby Smith stops at Jewelers Trade Shop, the store where his dad purchased his mom's ring years ago (video and photo below). He hasn't quite nailed down all the details of the proposal, but after he sees the finished product, he is even more eager to get down on one knee and unveil it to Tori, who knows an engagement is coming but doesn't know when. When Bobby arrives in Tennessee, Tori asks where the ring is hidden, but Bobby tries to play it cool. 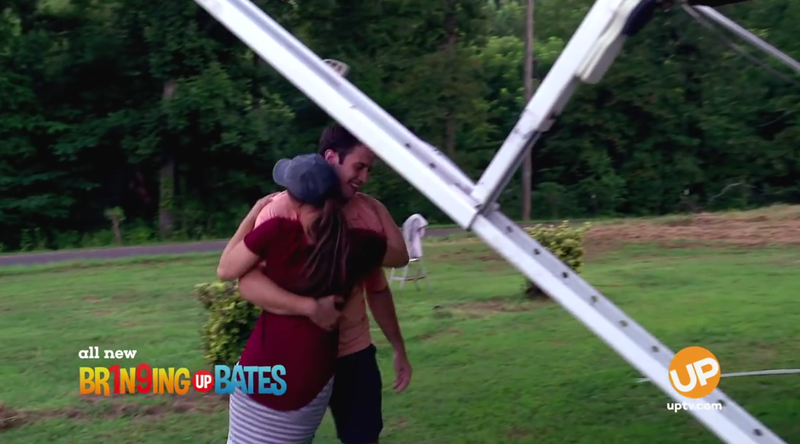 Watch more of this Bringing Up Bates story line this Thursday at 9pm ET/8pm CT, on UP. "Because it's like I'm staring at the stars up in outer space when I'm looking at those eyes on your pretty face." A few readers requested that we post the video of the full song that Evan Stewart wrote for Carlin Bates. He performed it when he asked her to begin an official courtship back in August. Watch the clip below, and, if you would like a copy for yourself, click here for the purchase links. Carlin Bates: "Erin's first house, her decorating styles were definitely a test run because her whole entire room...was bright pink." Chad Paine: "I felt like I went into a little dollhouse every night to go to sleep." 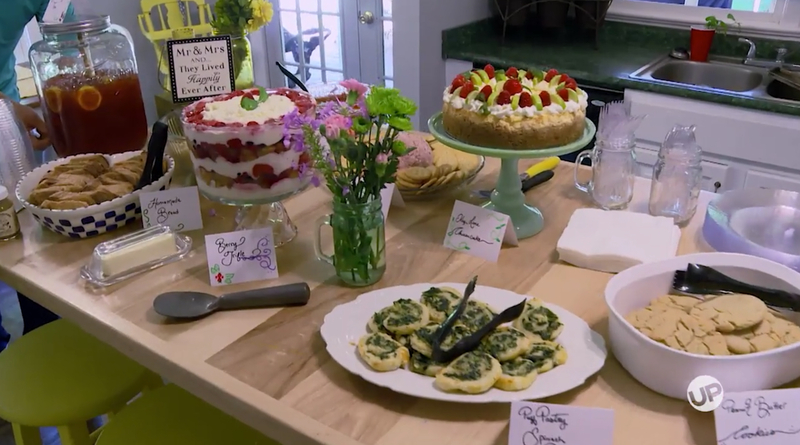 Erin is the Bates family's unofficial decorator, but she admits that it took plenty of trial and error to reach that point. Hear more in the bonus scene below. 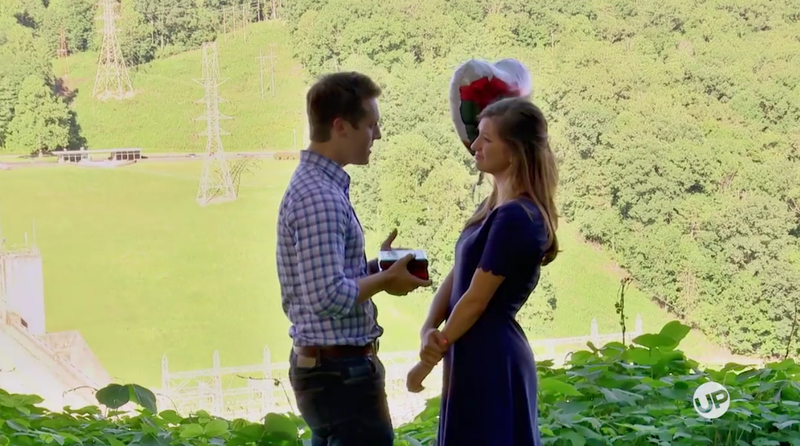 Bringing Up Bates "Decorating Dilemmas and Job Decisions"
Although Brandon slightly prefers more modern décor, Michaela decides to go with a country/farmhouse theme. The three ladies head out to a quilting store to search for fabric to make curtains. Kelly’s ideas prove to be very different than Michaela and Erin’s. While the ladies decorate, Michaela shares an update on her journey to motherhood. She has been seeing a specialist for about a year and has done several tests, but they are all expensive. There is one last test she wants to have done by Dr. Vick, the Bates’ obstetrician. After bowling, the three ladies stay up late into the night, but the finished product is worth it. Michaela loves her newly decorated house, which means Brandon is happy, too. 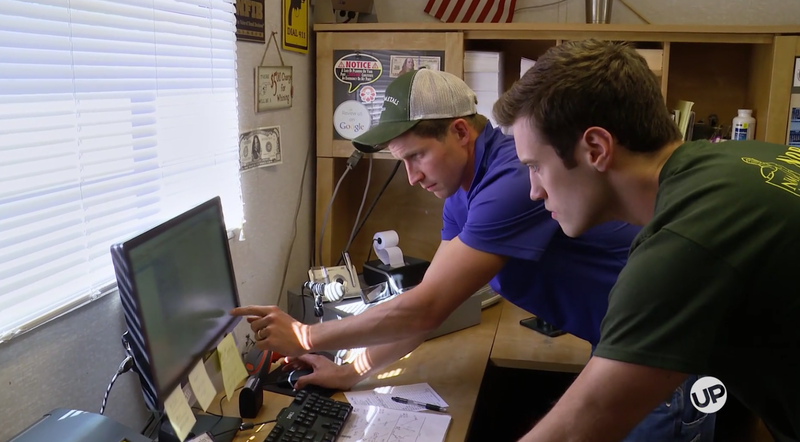 Back in Tennessee, Bobby goes to work with Chad to see about taking over his position at the metal recycling facility, in addition to helping out at the Bates’ church. Chad has been offered a job with a local builder, which is a field he has been interested in for a while. Tori, Ellie, Addallee, and Callie come by to pick Bobby up at the end of the day. They make an ice cream run at The Chunky Monkey. While they eat their ice cream, Tori asks Bobby when he is going to propose and if he has looked at rings. “Have you ever heard of a surprise before?” asks Bobby. They change the subject. It won't be long before the Bates welcome two new members into their clan. Erin Paine and Alyssa Webster are each past the halfway mark in their pregnancies and are looking forward to meeting their daughters. 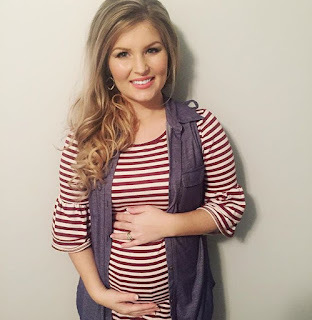 Alyssa is due with Zoey Joy Webster on April 2nd, and Erin is expecting Everly Hope Paine on April 28th. Based on their past two pregnancies, there is a good chance that Erin and Alyssa will deliver around the same time. 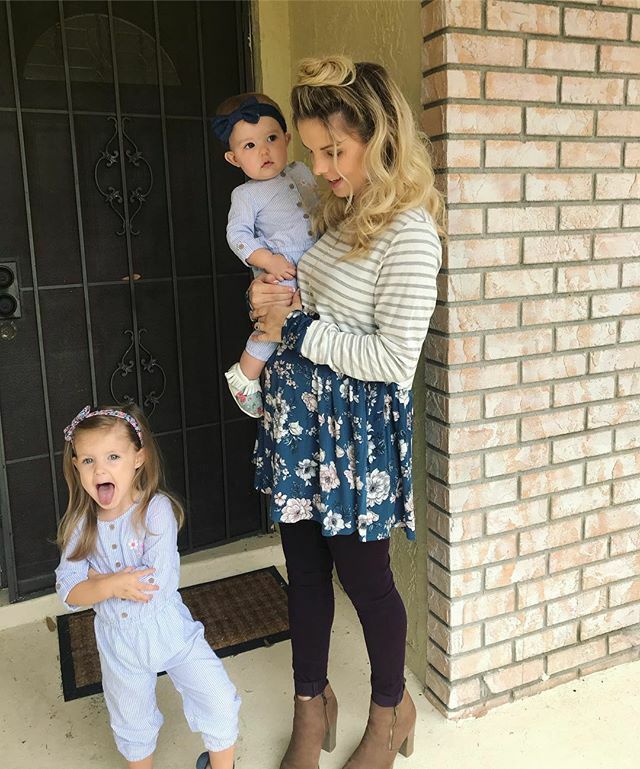 Erin gave birth to Carson and Brooklyn more than three weeks early, while Alyssa welcomed Allie and Lexi within one day of their due dates. "Multitasking like crazy? Running around all over the place? Sounds a lot like college and being in a long-distance relationship." Tomorrow on a new episode of Bringing Up Bates, in addition to watching Michael, Erin, and Kelly decorate the Keilens' new place, we will check in with Chad Paine at the metal recycling facility where he works. Another employment opportunity has presented itself, so Chad is looking for someone to take his current job...and he is hoping that person will be Bobby. In the video below, Chad shows Bobby what he has been doing for the past few years. Bobby also plans to spend time helping out at the Bates' church, while he and Tori search for a more permanent ministry opportunity. "Everything's beautiful to Mom. Everything goes. There are no dead ends. Everything is just beautiful." 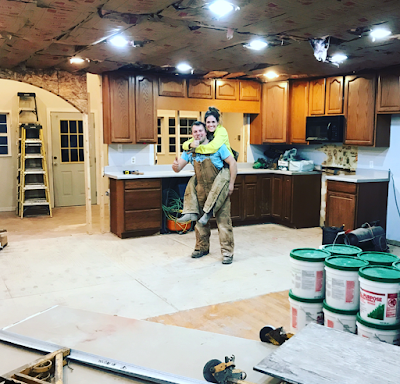 Coming up this week on Bringing Up Bates, Kelly Bates and Erin Paine head to Chicago to help Michaela Keilen set up her new rental home. But it's no secret that Kelly and Erin have very different ideas when it comes to decorating. You'll see what we mean in the promo video below. Last month, we announced that Zach and Whitney Bates had purchased their first home. Over the past several weeks, they have been hard at work doing extensive renovations, including knocking out walls and replacing drywall, building an arch, and installing lighting. 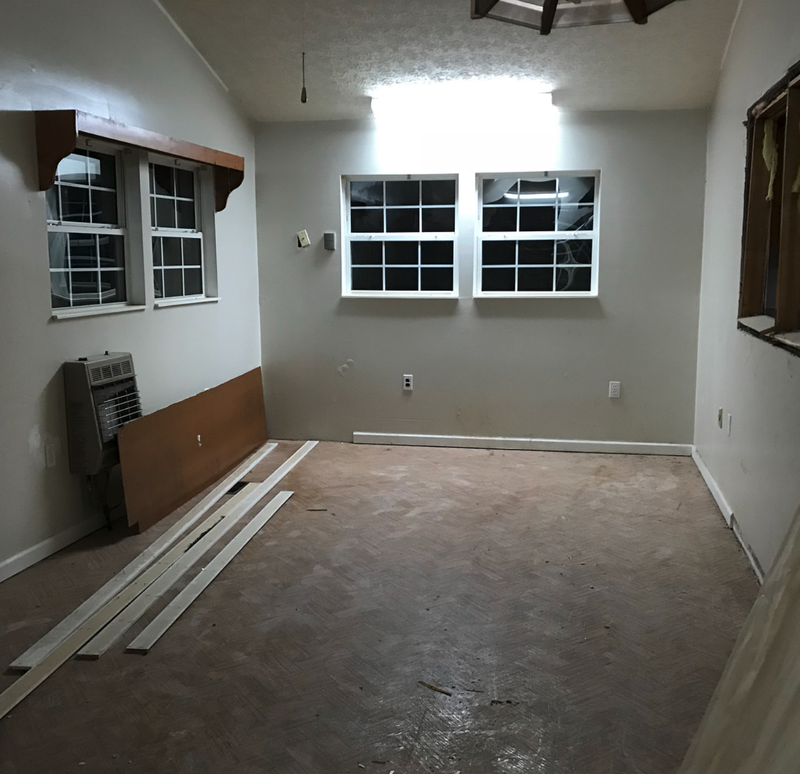 Below are a few snapshots to show their progress. Have you ever taken on a similar project? "There's some things you can count on. The sun's going to go down, the sun's going to rise....And Erin, if you go to her house, is always going to have good food." As part of Evan Stewart's scavenger hunt courtship "proposal," the Paines invited some of the couples over to their cottage for snacks and refreshments. As usual, Erin went all out and blew everyone away. 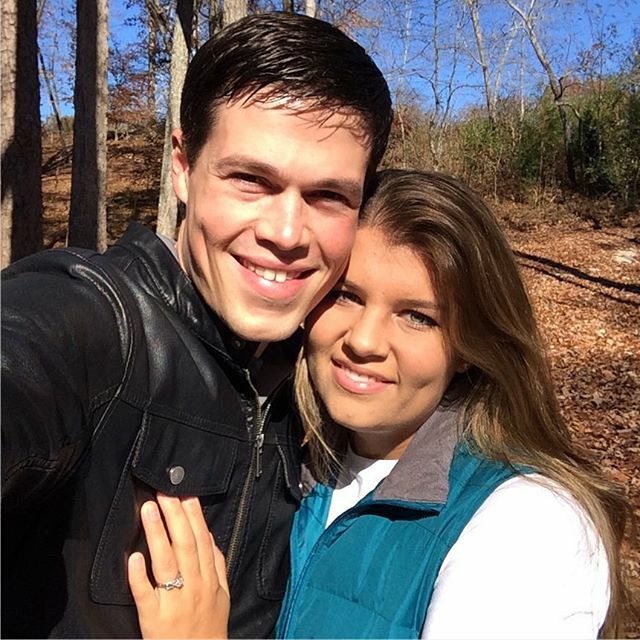 Last night on Bringing Up Bates, Evan Stewart asked Carlin Bates to begin an official courtship. Leading up to the big moment, he took her on an elaborate scavenger hunt. The last stop was Norris Dam, Carlin's "happy place," where Evan performed a love song he had written, called "You Hold the Key." He followed it up with a question: "So I guess what I'm trying to ask you is, 'Will you accept the gift of my heart?'" That love song is available for purchase on iTunes, Amazon, and CD Baby. "Because it's like I'm staring at the stars up in outer space when I'm looking at those eyes on your pretty face. Ya you are my dream come true, so I wrote this song to prove that I love you...And out of this whole world, I don't want another girl. See, I've got my heart locked away, baby, and you hold the key." 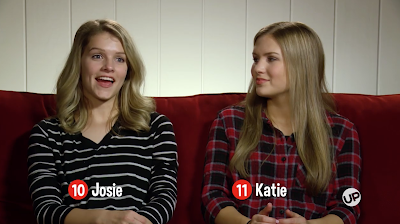 Bringing Up Bates "The 4 Cs: Carat, Clarity, Carlin and Courtship"
The Bates are attempting to pull off two big surprises--Josie's 18th birthday and Carlin's courtship "proposal"--in one weekend. "In the Bates family, keeping one secret is hard enough, but two secrets is a whole different story," says Jackson. To throw Josie off the trail, Kelly, Alyssa, Kelton, and two friends from school take her shopping at a store called Josie's Boutique and out to ice cream at Cruze Farm. 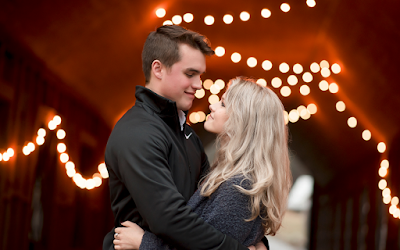 Gil and Kelly don't allow their kids to start serious relationships before age 18, so this birthday is especially important for Josie and Kelton. Back at the Bates house, Gil and the kids are decorating for the party. Michaela flies down from Chicago, Papa Bill and Mama Jane drive in from South Carolina, and other family and friends arrive, as well. Josie is shocked when she walks in the door and hears everyone yell "Surprise!" "When you turn 18, that's a really big deal," says Erin. "Josie, I think she's trying to really push that level, since she's already got a boyfriend, she's already in college." Bobby is moving to Tennessee in less than two weeks, but the jeweler says he should be able to finish the ring by then. The next day, Carlin thinks she is going to the lake with her family and Evan's, but when Evan shows up at the door with roses and a clue. Carlin changes clothes, and she and Evan head out on a scavenger hunt with both sets of parents. The first stop is a lunch cruise on the Tennessee River. Next, they head to the Bates' church, were Carlin teaches Sunday School. They are greeted by the little kids from both sides of the family singing a love song. The next stop is Erin's house, where she and some of the married couples are waiting with dessert and refreshments. "[Carlin] was just literally beaming," says Erin, the matchmaker who matched Carlin and Evan. Evan presents Carlin with a scrapbook filled with photos of the two of them, made by himself and one of his sisters. The final stop is Norris Dam, Carlin's "happy place." Before they arrive, the family sets up a fancy table, a big box covered in purple wrapping paper (purple is Carlin's favorite color), and a keyboard for background music. Evan puts a blindfold on Carlin, and he steps behind a tree while she takes it off and opens the box. Out comes a bunch of balloons, and one has a key attached to it. Evan walks back over and sings a song he wrote for Carlin: "Because it's like I'm staring at the stars up in outer space when I'm looking at those eyes on your pretty face. Ya you are my dream come true, so I wrote this song to prove that I love you...And out of this whole world, I don't want another girl. See, I've got my heart locked away, baby, and you hold the key." By this point, Carlin is sobbing. She unlocks a small box that Evan is holding and finds a bracelet. "So I guess what I'm trying to ask you is, 'Will you accept the gift of my heart?'" says Evan. Carlin says yes! "I kind of was thinking that it should have ended as an engagement," says Kelly. 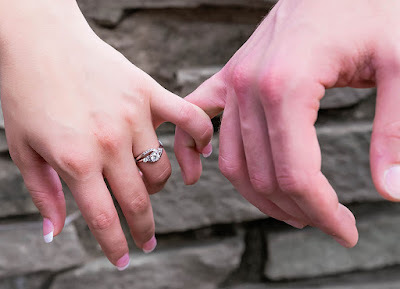 "It was so special, I'm thinking, 'Give her the ring, we'll just all cry right now.'" Gil, on the other hand, isn't so excited about that idea. The families, who had been watching from afar, walk over to exchange hugs. Carlin and Evan are thrilled that they can now hold hands. They seal the deal with a meal beside the edge of the dam. 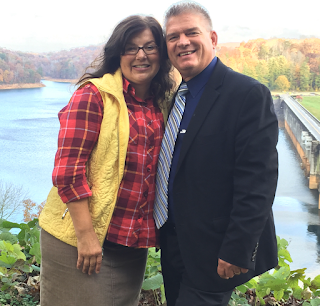 The Bates end the weekend with the dedication of their new church building. (Their congregation had been meeting in various buildings for about four years.) The Stewarts sing to open the service. Just a few hours ahead of the Bringing Up Bates season seven premiere, the network has released an official courtship announcement video from Carlin Bates and Evan Stewart (embedded below). Tune in to UP tonight at 9pm ET/8pm CT for the season premiere. Josie Bates' boyfriend made the news! Kelton Balka, a licensed plumber working in his uncle's business, has been extremely busy this week, as a cold front has caused pipes to freeze across Knoxville. He was featured on WATE 6, the local ABC News affiliate, to help viewers understand what they can do to keep their water running well during the winter. Check out the video below. "They're all good guys, and I want [my daughters] to get married, but maybe a little later. But we're just going to try to rejoice in it...and slow it down as much as we can." Season seven of Bringing Up Bates premieres in just two days! As promised, UP has continued to add footage to the sneak peek, so check it out below. "The 4 Cs: Carat, Clarity, Carlin and Courtship" airs this Thursday, January 4th, at 9pm ET/8pm CT, only on UP. Happy New Year to our loyal readers, and happy 53rd birthday to Gil Bates!